Design and decorating consultation from blueprint to the finishing stages. Design IT is a unique interior design company, offering not just traditional ONSITE design services to clients with a variety of needs and budgets, but also making interior design even more affordable by offering an ONLINE model. Backed by a strong Project Management background with years of experience managing budgets, schedules and projects, my strength lies in merging these skills with my passion for interior design, to help you achieve the space of your dreams, in a stress-free way! Specialties include unusual and unique wall coverings, multi-purpose small space ideas, garage suites, furnishing rental properties, and staging for sale. ....Call Design IT for all that and much more! I believe that no project is too small, and no idea is too big! My mission is to assist you in achieving the space of your dreams! Design IT offers both ONSITE and ONLINE design services. For ONSITE services, I am happy to work with any budget. I usually charge by the hour, but for large projects, a fixed, all inclusive project price (materials, labor, and design fees) is doable. My design services for the ONLINE model start at $299. As an accomplished designer Yamina Ortynski embodies creativity all pertaining to the exquisite world of design. She has spent in excess of 10 years in the home building and design industry. With her strong construction experience combined with the finesse for coordinating trades, her personalized approach to all clients needs have allowed her to be successful in each project she is involved in. Yamina’s designs have been showcased in Best Homes Western Canada, Globe and Mail, and the Edmonton Journal. Her designs are both organic and fluid and possess a sophistication that reflect her rich background in the arts and music. Traveling to exotic locations inspires Yamina to set new trends and keeps her on the cutting edge of design. Her signature Western flare in HGTV’s ‘Designer Superstar’ showcased her talents where she advanced to the finals. 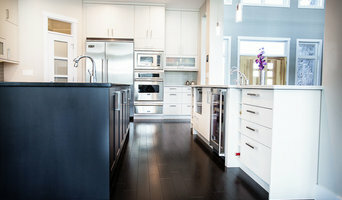 Her design philosophy: be true to your personal style while incorporating a touch of black in every space. And remember, design is for everyone, regardless of your budget. Yamina can design that perfect space for you! Carla has always had a passion for working with color and design. She specializes in Colour Consultations, Realestate Home Staging both Vacant and Occupied and is a Certified Residential Renovation Project Manager. While considering the psychology of a space she enjoys creating different moods to influence how someone feels when entering a room. Carla's expertise in guiding homeowners through the transformation of their space helps enhance the appeal of the home to potential buyers. Having a knack for keeping up with current trends, she is able to create a space that will appeal to the broadest range of buyers. Her experience is in both occupied and vacant staging. She provides onsite detailed assessments of what is needed to prepare your property maximizing profits and minimizing selling time. Give her a call today for assistance in staging your kitchen, bedroom, dining room and living room! Caroline Leclair is a graduate of the Residential Interiors program at the University of Alberta, the Creative Director at What's Inside Design Ltd., and the Student Liason for the Certified Interior Designers Association of Alberta. Caroline lends her professionalism, creativity and design knowledge to both commercial and residential projects. Blending a client's personal style with design elements & principles is what Caroline does best! At Lincolnberg Master Builder we understand. Your new home should reflect your unique personality, tastes and lifestyle. Your new home should be the realization of a dream come true. At Lincolnberg we understand. We pledge to be worthy of the trust you place in us when you choose Lincolnberg to build your new home. The cornerstone of our business philosophy is our values of integrity and fair business practices. They have been since we began our business, here in Edmonton, 40 years ago. We build each home using carefully-chosen materials that provide the best performance at a reasonable cost, and assembling them with the best possible craftsmanship. This results in affordable value for the new home buyer. You will find that our homes are constructed of quality material by skilled craftsmen under our careful supervision. Each member of the Lincolnberg team; our field and office staff, suppliers, subtrades and financial and professional support service; are dedicated to making your new home purchase a positive experience. Our collective objective is to provide you a home that you and your family will love today and for years to come. We want to make sure that you and your Lincolnberg Home are The Love Affair That Lasts. 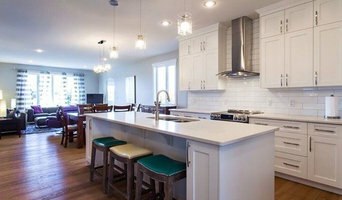 All Décor Design & Staging Inc. services Edmonton and surrounding area working with Homeowners, Realtors, Builders and Real Estate investors preparing homes for sale. Newer properties in great shape are ready to stage! Home a little dated? 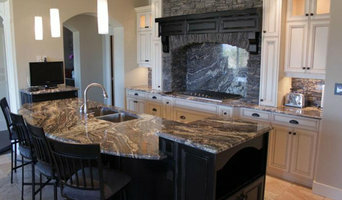 We can provide a list of upgrades to add value to the home, and even perform the work if needed. Home staging is not decorating, there is art behind placement of every piece of furniture and decor which creates feelings in prospective buyers in each room they enter. This helps sell the home faster and for more money! 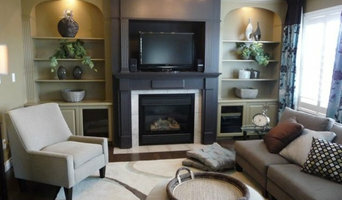 Home staging is typically less cost than the first price reduction. If you are selling, you can't afford not to stage!